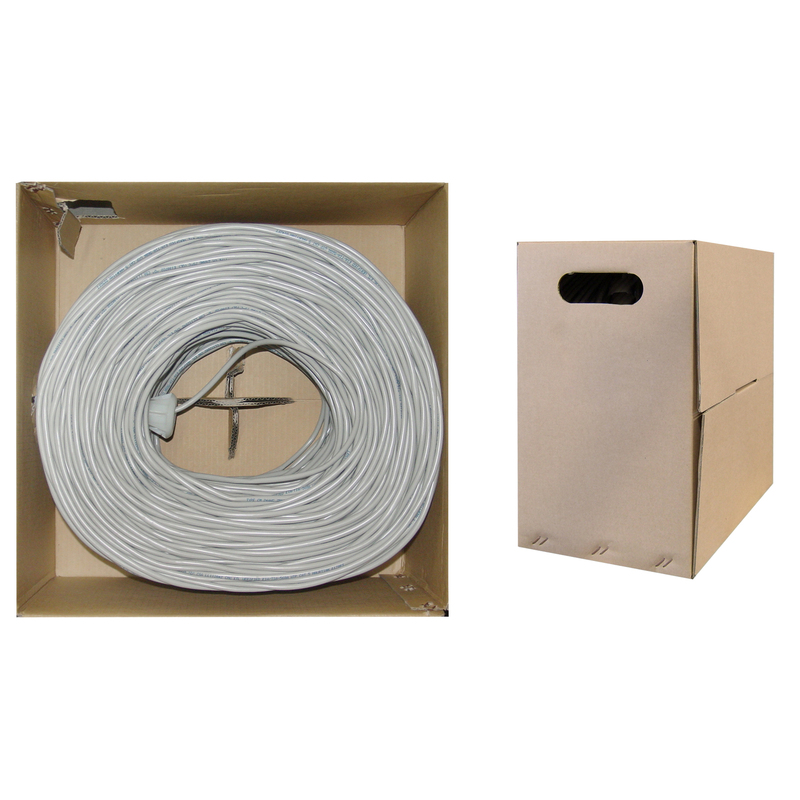 This bulk 1,000-foot Cat5e Ethernet cable comes in a convenient pullbox for easy use when creating longer permanent network runs during expansions or installations of your network's infrastructure. Our premium-quality individual conductors are made of 24 AWG (American Wire Gauge) solid pure copper and provide consistent, premium conductivity. 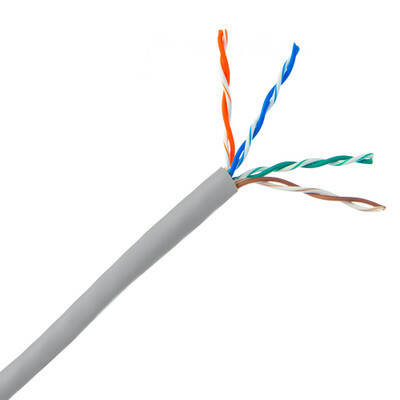 This gray UTP (unshielded twisted pair) Cat5e Ethernet cable exceeds the EIA/TIA-568-C standard and is jacketed in tough PVC with a 0.55 mm average thickness to protect the conductor from environmental stressors. This cable comes with a lifetime warranty, so you can purchase with confidence. Affordable quality cable, good price for non CCA cable.